How Many Types of Meetings? Although experts frequently suggest that effective PowerPoint presentations should not include “bullet points” or that presenters should only be using less than 15 slides – these rules are just guidelines that vary depending on the type of meeting. If you have an hour to persuade an audience of 500 that your Fortune 500 company is a good investment, that is a different type of meeting than if you have 10 minutes to pitch your new startup to a group of angel investors. 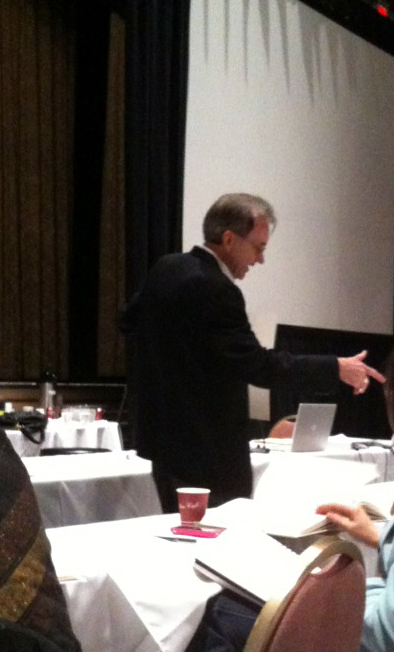 I recently attended Edward Tufte’s full day class “Presenting Data and Information” for the second time. I enjoyed it just as much as the first time and highly recommend it for anyone in the business of designing and producing presentation visuals. If you don’t know who Edward Tufte is, he is the master of Visual Data Design. Last week President Barack Obama announced that he would be appointing Edward Tufte to the independent panel that advises the Recovery Accountability and Transparency Board. Tufte is being asked to help design the government web site www.recovery.gov, which will chart how every single dollar of the $787 billion stimulus bill is being spent. A Newsweek article on his appointment, calls his data visualization “the clearest, richest interactive database ever produced by the American bureaucracy”. If there is anyone that can take on the monster task of taking the tons of government dollar data of the recovery act and turn it into visually appealing and most important understandable information for a mass audience, it is Tufte. I only wish the government used Tufte or one of his followers to put the healthcare chaotic mess into some easy to understand visuals so the voting public could actually understand what is going on or maybe even help our politicians understand what exactly they really voted for. Tufte is amazing how he can take a boat load of complicated data and turn it into a simplified, accurate visualization that communicates the data tracking results effectively. In today’s world of infinite information overload, this talent is in high demand. Tufte is well known by anyone in the business of presenting data and information, or at least he should be. Don’t hire any professional presentation designer if they can’t tell you they are familiar with some of Edward Tufte’s principles of data and information design. Although, be careful of “professional presentation designers” that buy into his anti-PowerPoint message. He spews anti-PowerPoint insults to anyone in his class that admits they use PowerPoint. I believe it has been a great marketing ploy. He broke out of his circle of academic fame into the public eye with his essay “PowerPoint Does Rocket Science–and Better Techniques for Technical Reports” where he claims PowerPoint is partly responsible for the Columbia spaceship disaster. From this essay, the “DEATH by PowerPoint” term was born and the Anti-PowerPoint movement was launched. Data visualization is not by any means an interesting topic of mass appeal, but PowerPoint, the tool of millions, if not nearly every professional and amateur presenter, is an easy target to attract mass appeal. With PowerPoint shows being viewed by millions and millions of audiences around the world every day, every hour, every minute, who can not say they have not viewed more than their fare share of bad PowerPoint slides? Tufte’s “Death by PowerPoint” message hit home to the millions of people who regularly are forced to sit through boring presentations and BAD PowerPoint produced slides. Yes, I will admit PowerPoint has probably contributed partially to the Columbia Spaceship disaster, but in the same way a knife contributes to the killing in the latest murder on last night’s news. But it is only a tool, you can’t hold the knife responsible for the murder! When used appropriately, a knife can carve a delicious turkey, or help carve a beautiful sculpture. PowerPoint is just a communication tool. In Tufte’s essay all he proves is that the decision makers used the tool wrong or maybe should have used a different tool such as a long detailed technical engineering report and not relied so heavily on summary slides. In my view, Tufte’s essay actually proves how POWERFUL a PowerPoint presentation can be in shaping opinions and moving people to decisions. Unfortunately in the case of the Columbia incident it was used poorly, and resulted in a bad decision. BAD PowerPoint can lead to bad decisions. It can do this by inaccurately focusing the audience on wrong information and in most cases just “kills” the the communication at the meeting, which almost always results in causing more problems. PowerPoint can be a great tool when used correctly. I have personally seen it happen hundreds of times – how a good PowerPoint deck has helped communicate critically important messages that have impacted millions of lives for the better by changing the courses of large and small companies for the better. I have seen great presentations with the help of powerful PowerPoint visuals close billion dollar corporate deals and help raise millions of dollars at a single charity event. Edward Tufte, a data guru, professor with a passion for very large sculptures, you’re famous now. You’re making millions. Please give up on the anti-PowerPoint marketing message and acknowledge the reality that it is just a tool and if you use it well (and this includes using many of your principles of good data visualization), it can be a great tool for presenting data and information. One day maybe you’ll read and agree with my essay “Life by PowerPoint”. I attended a conference recently that was 50% Panel Discussions vs 50% Presentations. Panel Discussions seem to be part of the “Anti-PowerPoint” trend. I believe the Panel Presentations “trend” is because they are easy to organize, require little planning, ofter exposure to plenty of willing volunteers who claim to be experts in their field, they’re promoted as being more interactive than a “presentation”. And most of all, Panel Discussions at events are a trend, because it’s easier for conference organizers to get people to present on a panel, because they don’t have to fear “Death by PowerPoint”, since most panel discussions I’ve seen lately don’t use PowerPoint slides. Personally, I often find them boring and a snore fest. 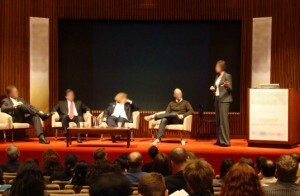 How good the panel performs as a group often depends on how skilled the leader is at facilitating a panel discussion. It also does take some speaker skills to be a participant on a successful panel. At this particular event the panel participants seemed to be bored with each other. As one person on the panel talked, the other four people looked bored and uninterested what the others were saying. They just seemed to be waiting for their opportunity to promote themselves as experts and soft sell their businesses. There was one group that had the good fortune of a terrific facilitator. He asked great questions, kept the conversation going back and forth between all panelists, even asked the audience for some questions to the panel. He listened to answers and played off the particular expertise of each panelist. He seemed like he knew his panelist – maybe did some preparation before the event and researched his panelist or even spoke to them before their time on stage. What does it take to have a successful Panel Presentation? First be sure the leader of the group has experience facilitating good group discussions. If you are a facilitator of a panel discussion, do the group and audience a big favor, spend some time researching who is on the panel (if you don’t know them already), and have some prepared questions. Your questions don’t have to be used, but good to have if the flow of worthwhile info goes off into a wild tangent or stops. If you are a participant, you should also research your fellow panelist, and facilitator. It would help if you contact the panel leader to find out what type of questions he/she will be asking. Pay attention when others are speaking, look at them, even if you have to pretend being interested in what they are saying. It appears rude and selfish if you are sharing the stage, but looking as if you are bored to death or checking your text messages on your cell phone. Being on a panel obviously requires less work than having to prepare a speech and slides, but it should include some preparation work if you want to insure that you appear to be the expert you claim to be and contribute successfully to sharing interesting and helpful information to the audience. The facilitator and panel participants need to remember the purpose is share information with the audience. It’s not just having the audience observe a group discussion. Personally, I’d rather see six 10 minute presentations, than 60 minutes of sitting in an audience and observing a group discussion. Yes, you can kill a meeting with a BAD PowerPoint slides, but you can just as quickly kill a meeting with a bad panel discussion. There has been a good deal of publicity buzz about a new book called The Presentation Secrets of Steve Jobs: How to be Insanely Great in Front of Any Audience by Carmine Gallo. I have only read a few excerpts and hope to read it some day as I am a big fan of Steve Jobs and the Mac. I don’t have to read the book to know Steve has a big advantage over most presenters. He has a great company creating exciting, game changing products like the Mac, iPod, itunes, and iPhone. 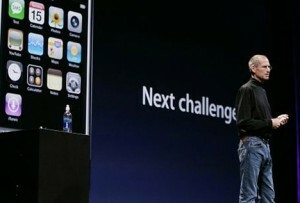 It does help to have a great, exciting product to present like steve jobs. Everyday corp presentations usually don’t have this advantage to have such a great product to announce or such an exciting story to tell – but I’m sure the book is full of good tips – most important is Steve Jobs REHEARSES and Practices HARD. It is probably the most overlooked element of a good presentation. PLAN and practice. In today’s time challenged world leaving enough time to practice your presentation is difficult to plan on. The best professional presenters I know practice so much, you’d never guess they rehearse at all because they seem so natural and conversational. First, I think Prezi is a great presentation tool from what I have seen of it and played around with so far. I have to admit up front that I am PowerPoint biased, having used PowerPoint for 25+ years, and only used Prezi for maybe 25+ minutes, maybe a couple of hours total. It is fun to use, and the more I use it the more potential I see, but old habits are not easy to break. I have heard plenty of people raving about it in some of the presentation groups/forums I belong to. Personally, I have yet to find an appropriate presentation/meeting to actually use it in. And that is my main point. It may be a good option for presenters, but as for being a replacement for PowerPoint, my experience to date with it leads me to believe that it could replace certain uses of PowerPoint, like when a whiteboard presentation would suit the content or meeting objectives better than PowerPoint slides. I view Apple Keynote, SlideRocket, Google Presentation doc, Adobe Presenter, etc. as possible replacements for PowerPoint. All of these presentation tools follow the traditional outline, linear slide presentation path. Prezi makes a new, flexible path, a more free flow, creative style, non-linear path to developing and communicating your ideas. This can be a big advantage in meetings where the presenter wants to share information in a more interactive way and change course or paths pending on the audience feedback and input. It may be a great tool for planning and developing a presentation that then might be presented from Prezi, but in my view of most of the presentation content I see, a linear PowerPoint slide show would often be the better final presentation tool. People need the structure offered in an “outline” based presentation tool like PowerPoint. There is so much free flowing, overflowing, information out in the world, the process of developing a linear story is often important in the final communication of the message. I see Prezi as another visual presentation tool that I might suggest such as a video or flash animation rather than a PowerPoint slide show for certain types of information sharing of content or type of meeting event. I don’t see it as a full replacement for PPT yet, but a totally new visual presentation tool that will work for meetings and information sharing that PPT should probably not be a consideration in the first place. In the millions of presentations given every day, there is a place for Prezi, but I’m not sure how big a place yet. I see it replacing traditional white board presentations, poster board, and easel/marker information sharing. Or it may even create a new model of meeting information sharing. It will add a great deal to meetings that can benefit from the free flowing, non-linear information sharing that Prezi excels in. It really depends on the objectives of the meeting communication. Some meetings may benefit from a free flow, non-linear path, but often in today’s business environment with shorter meeting times, and even shorter times to prepare for the meetings . . . a well planned and practiced linear slide show to support a presenter’s communication will often achieve the best results. We work on 100’s of presentations in a month and I see few that Prezi could replace. There might be parts of a presentation or meeting that would benefit from the use of Prezi, but for the most part we can achieve similar zoom-in and non-linear flow with PPT too. Most people do not even know the easy trick of entering a slide number and a return key click will take you to that slide number in slide show mode. Most users don’t even touch the surface of the power of PowerPoint. And in the same way, maybe I am not giving Prezi a fair shake yet, as I have only limited experience and knowledge of Prezi. PowerPoint is so often used incorrectly, and there is soooo much bad PowerPoint out there, it is an easy target for “replace PowerPoint with . . . a video, an animation, a Prezi, a sliderocket, a white board . . .” instead of focusing on the advantages of the alternative for the particular type of meeting, information sharing or meeting communication that a new tool like Prezi will assit in. In some ways it’s not about just using a new tool (Prezi), it may be about a new way of presenting and sharing information. I believe the original PowerPoint application came from the idea of turning an outline into slides. This linear “outline” is still the foundation of most slide shows and meeting communications these days. In today’s information saturated world, a tool like Prezi and it’s non-linear format, Prezi may be the future, but I do not believe it is going to replace PowerPoint in most cases any time soon. 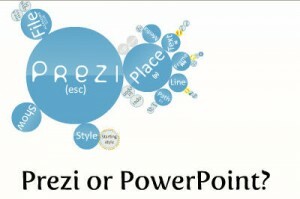 A switch to Prezi, may be similar of the “trend” to produce presentations without bullet points. I love producing presentations without bullet points. They are often more fun, more visual than heavy verbal/text slides, they are more engaging, but also take more time to create. For 95% of the presentation I see pass across my screen it would be nearly impossible to loose the bullets – but it is possible to turn a sentence or paragraph bullet into a short, powerful bullet phrase (and maybe add a visual to support it). My PowerPoint mantra: “it’s not death by PPT, but death by BAD PowerPoint!” You can kill an idea or meeting just as easily with a bad Prezi. You can also bring to life to an idea or make a meeting exciting and memorable with the support of some excellent visuals – in PPT or Prezi. The visual tool you use depends on the audience, the information to be communicated, the presenters skills, and speaking talents – where Lily Latridis from Boomerang.com expertise is very important. PowerPoint totally replaced 35mm slides and acetate overheads in about a decade. Maybe Prezi will totally replace whiteboards as we know them today. Or maybe replace both whiteboards and the idea of presenting with linear electronic slides. What I need to do next is to try Prezi to create a presentation on using the right presentation tools to achieve the optimal meeting communications. Watch for an update to this post with a link to my Prezi in the near future. 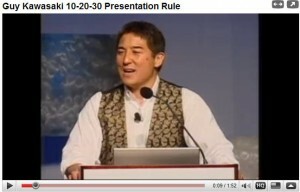 Guy Kawasaki is a great speaker that often speaks to entrepreneur groups about how to present their ideas to venture capital groups. His 10-20-30 rule has been getting a lot of tweet time today. It’s a good rule for presenting to Venture Capitalist, but it should not be taken as a universal rule for presenting. He says for this VC target audience “you should not have more than 10 slides, speak longer than 20 minutes and do not use text smaller then 30 points”. He says “if you can’t fit the 30 point text on the slide then it is too much text”. My rule would be more like 20-10-18. I’d aim for more slides with less on each slide, but about one slide per 30 seconds to keep the presentation visually interesting and moving along. I would try not to use any type smaller than 18 point and always keep slides as simple and clean looking as possible. Yes, larger text is always helpful, especially if you are presenting to a large audience or with anyone that distance viewing may be a limited. The more important rule is make sure your slides are readable from a distance and your important point stands out. It is ridiculous to limit the number of slides. All to often we see slide limits as the cause for content chaos – where a presenter attempts to cram 40 slides worth of content into his 15 slide limit. Good meeting facilitators should not give speakers slide number limits but time limits. It is the responsibility of the presenter to practice and trim their content to fit the time allotted as a speaker. If you have limited time to speak, well designed PowerPoint slides can often assist in communicating the information faster and make it more memorable. A good agenda with good slides can also keep the speaker and audience stay on track for keeping the meeting to the allotted time. The most important rule is don’t follow all the rules. Do what it takes to be innovative, creative and interesting. Break the rules if you feel it will result in more interesting visuals and a more engaged audience. Remember your objective is to communicate important information in the allotted time, not get through 10 slides as fast as you can. There are not many people that would admit or say that they love PowerPoint. I do. 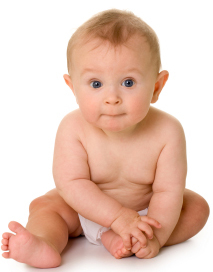 I have been in the business of creating electronic slides (often referred to today as making “PowerPoints”) since 1991. It seems everyone loves to hate PowerPoint. But everyone continues to use it. And too many people abuse it and don’t use it correctly. If PowerPoint is used correctly it can be a great communication tool for getting your important points across to your audience quickly and effectively. You have a better chance of having people remember what you present if you present it with good visual support – with good PowerPoints. I have seen PowerPoint decks that have launched new products, new businesses, new careers, ideas, strategies, and raise millions of dollars for charities, promote environmental causes, explain complicated medical procedures, assisted in winning million dollar sales deals and be a critical communication component in closing a billion dollar merger. Has PowerPoint helped you achieve your meeting objectives?